Enter your Jewish Studies username. The Jewish Studies Program is delighted to welcome Prof. Rami Zeedan as a new faculty member! Prof. Zeedan holds a Ph.D. in Israeli Studies from the University of Haifa in Israel. 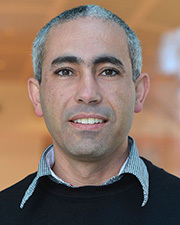 His research interests include the history of modern Israel, Israeli politics, Middle-Eastern politics, ethnic politics, urban affairs and local governments, and public opinion. This Fall he is teaching courses on Israeli politics and government, and on the Israeli-Palestinian conflict. In the College of Liberal Arts & Sciences at The University of Kansas, we understand that an equitable and safe multiracial, multiethnic, and multicultural environment produces innovative thinking, research, and learning. Click here for the University's nondiscrimination policy.